This entry was posted on Friday, September 28th, 2007 at 09:48 and is filed under BattleLore, Games. You can follow any responses to this entry through the RSS 2.0 feed. Both comments and pings are currently closed. Wow that human cavalry looks great… I wonder what it will do differently compared to the red cavalry in the starter box. Looks like some lance weapon. Maybe it ignores a bonus hit from other cavalry? Maybe it can charge and recieve an extra die? The bull has been well sculpted… good job! 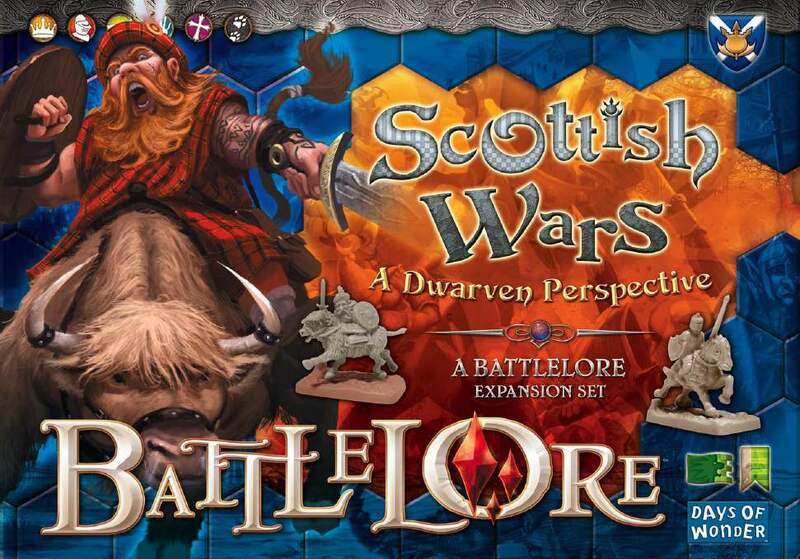 Dragons and elves sound nice, but I think i would rather have historical Scots winning with spears and claymores……but I like dwarves too. How bout both! Sweet! This is the only game I’m willing to waste money on to get tons of expansions. This is my “guilty pleasure”. I want the UNDEAD, the HEROES, more CREATURES, dragons and new lore cards!